Farmhouse Alghero ,Accomodation Alghero (Sardinia) ,The farmhouse b&b Le Camelie Alghero. 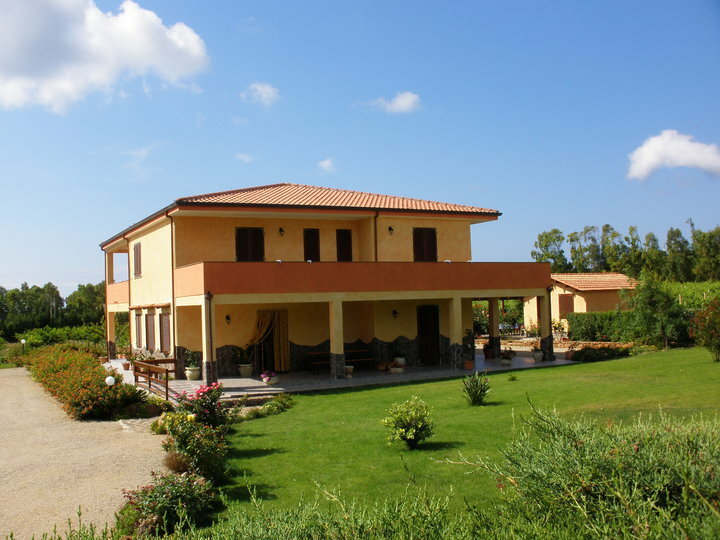 The farmhouse B&B Alghero Le Camelie rises in the countryside of Alghero , in Sardinia,at just 6 km from the town and is dipped in the green of vineyard and orchard. The farmhouses offers hospitality in 6 bedrooms, wide and comfortable, all with en suite bathroom and 4 with veranda .All rooms have a refrigerator ,TV LCD and air conditioning ,Free WiFi. Guests can taste, for breakfast, seasonal fruits, produced in the farm, served in the wide living room or in the adjacent veranda. Guests can use the barbecue area outdoor, car parking near the rooms, rent a bike. Cleanings: cleaning bedroom/bathroom and towels change twice a week, weekly linen change. The agriturismo rises in Fertilia, at few km from the beautiful beaches of the Riviera del Corallo, Alghero : Maria Pia, Punta Negra, Le Bombarde, Lazzaretto, Mugoni, Capo Caccia, Porto Ferro, and at 2 km from the village of Fertilia, with chemist's, post-office, bank, market, news-stand, tobacconist's, petrol station and medical care, and at 4 km from the airport of Fertilia. Near the farm holidays it is possible to visit important naturalistic and archaeological sites like the necropolis of Anghelu Ruiu and the nuraghic village of Palmavera, The Grotte of Nettuno and the Marine Park of Porto Conte. From Alghero : Le Camelie can be reached from the city of Alghero in 5 minutes. From the centre of Alghero follow the indications for Fertilia. In Fertilia turn right in direction of Santa Maria La Palma, continue about 1 km following the indications for Agriturismo B&B Le Camelie.